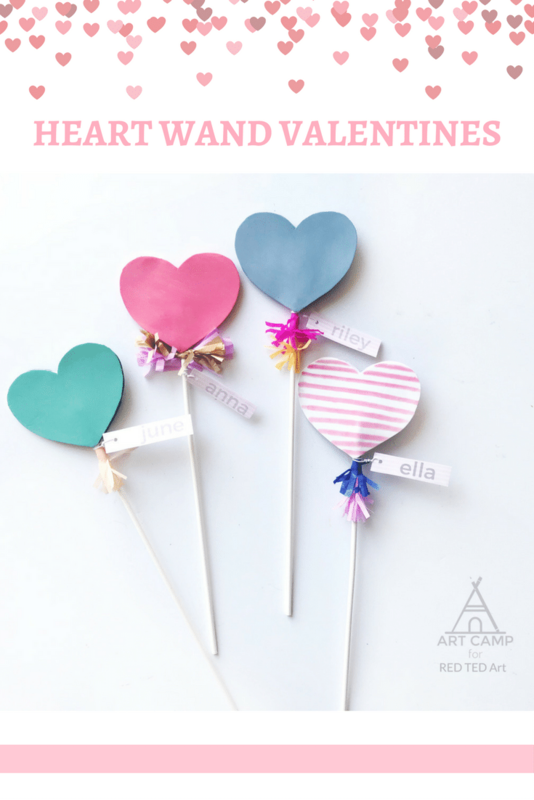 Today we cast a love spell for Valentine’s Day with some gorgeous and easy heart wand kids’ Valentines craft idea. 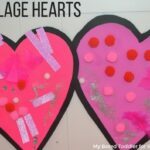 We love these as School Valentines Card ideas. 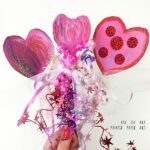 This is a great Kids’ Valentines Craft or Valentine’s Idea for Preschooler by Arielle from Art Campla as part of the ongoing 31 Days of Love series!! 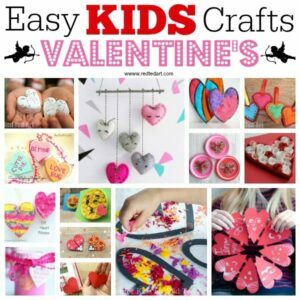 Yes we are on day 16 and have another great Valentine’s Day Idea for you to make!! 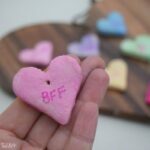 Cast a love spell this Valentine’s Day with this cute and easy DIY! 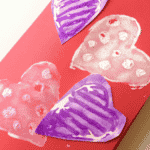 Print your heart template on white card stock. 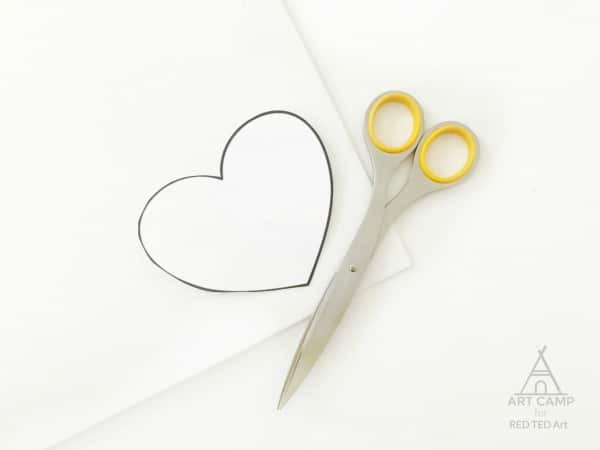 Then cut out your heart shape. 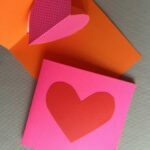 Place your heart template over your craft foam and cut around the edge of your template. 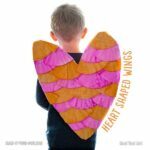 We were able to cut 4 hearts out of a single craft sheet. 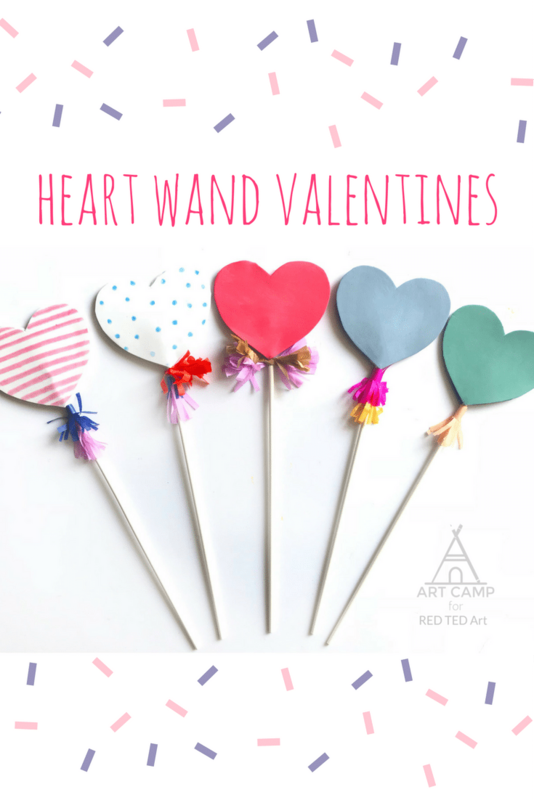 You will want to cut 2 hearts per wand (front and back). 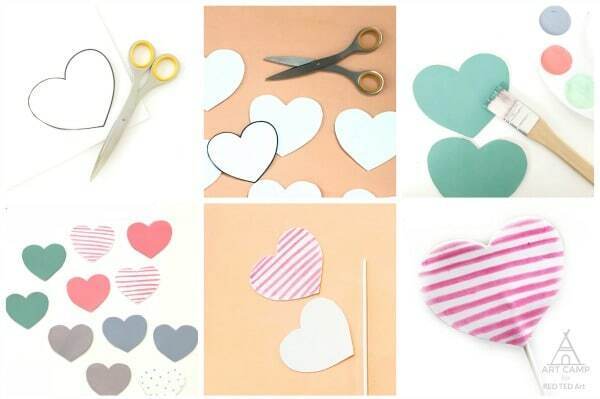 Once you have cut out all of your foam hearts, it is time to paint…or draw! The nice thing about craft foam is that you can decorate it with almost anything. After your painted hearts have fully dried, it’s time to assemble. 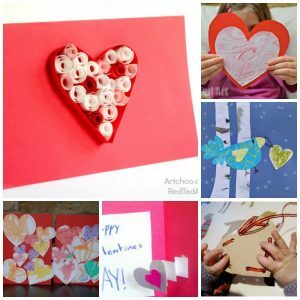 Match up the front and back heart shapes and attach them with hot glue, leaving a small space at the point of the heart open. 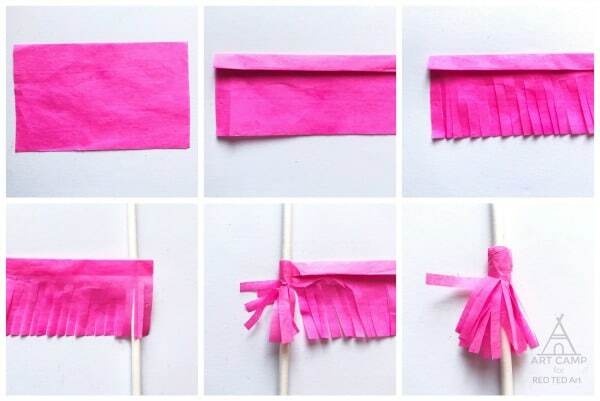 Add a dab of glue to the inside of the “pocket”, slide your pop stick in, add glue to the top, and close. Glue shut any openings. Now for a little festive flair! Cut some tissue paper into small rectangles (3”x4” is good). Begin to fold the long edge in, creating a cuff. Repeat this fold about 3 times. Your rectangle should now look like a strip. Begin cutting fringe. 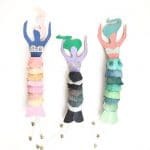 You will attach one end of the fringe cuff to your pop stick with a dab of hot glue and then wrap around and around, adding a tiny dab of glue as you go, until you have reached the end. Think about another fringe cuff in a different color! 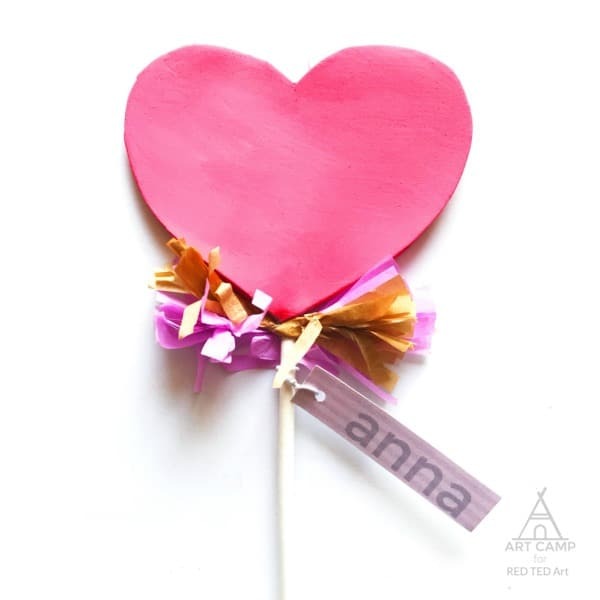 Time to personalize your Valentine’s Day wands! 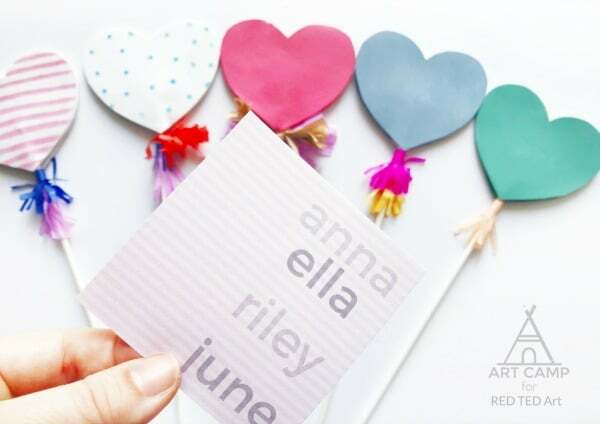 We decided to create a simple little name graphic on the computer, but you could also make these tags by hand. 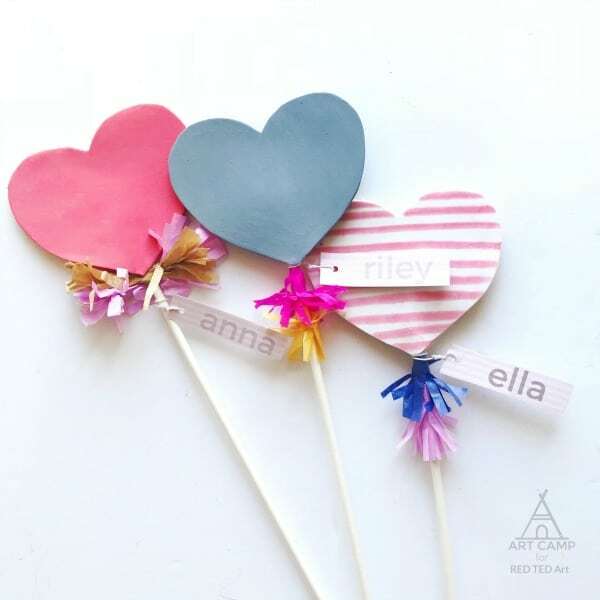 Write out the name, punch a hole, thread a small piece of twine or wire through the tag, and secure it to the top of the wand! You could go all out and add ribbon or stick-on rhinestones for some bling. The sky is the limit! Arielle Goddard is an artist, designer, and educator who has been teaching and developing art programs in Los Angeles for 20 years. Arielle founded ART CAMP in 2015 with the belief that art is for everyone and that creativity is a pathway to connection. 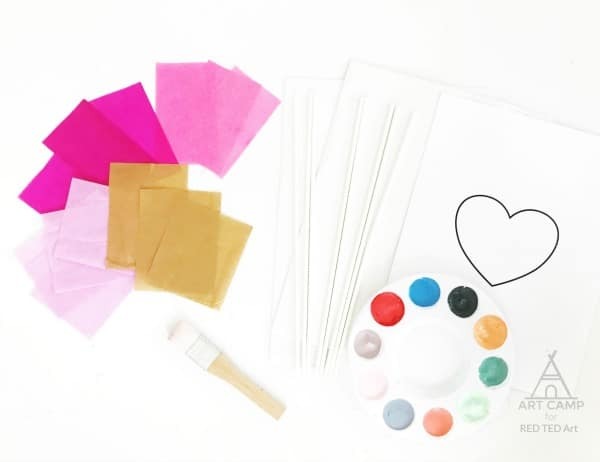 When she isn’t leading ART CAMP Pop-Ups, Parties, and Workshops out of her vintage camper, Arielle is sharing fresh, elevated, Art + Craft + DIY projects online at Art Campla, Instagram, Facebook & Pinterest. 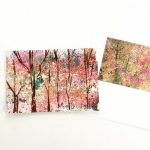 Her most recent venture is the ART CAMP BOX – a packaged ART CAMP experience for two. 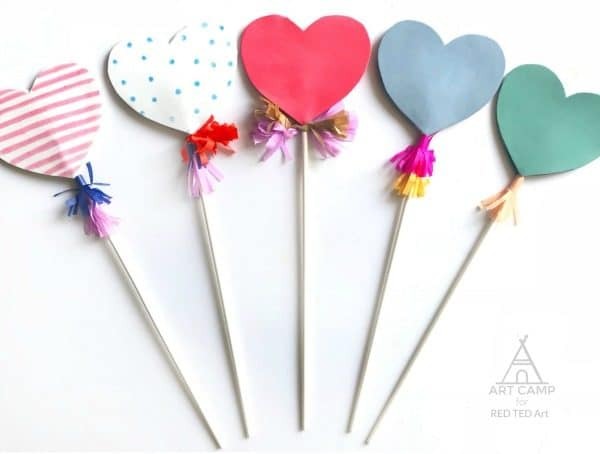 These are adorable and I’m going to make them for my class. 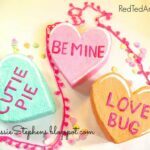 Can you tell me what the font is that you used for the names? 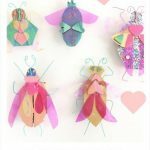 Oh this was a guest post, so I am afraid, I don’t know! Sorry!